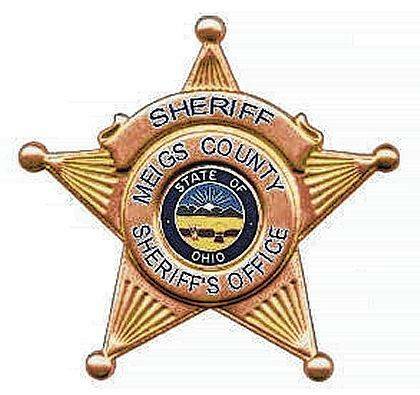 MEIGS COUNTY — The Meigs County Sheriff’s Office is investigating three separate domestic complaints which occurred on Thursday evening — including one which involved an alleged intentionally set fire. At 10:28 p.m., officers were called to a residence on Pomeroy Pike, where a man reported a domestic complaint against a female. Deputies responded and made contact with the victim, who had obvious physical injuries allegedly inflicted on him, Merissa Starcher, age 34. Deputies attempted to locate Merissa Starcher but she had left the residence prior to officers arriving. This case is under further investigation. Charges of domestic violence have been filed against Starcher. At 10:33 p.m., a call of a domestic complaint at a residence on Fourth Street in Syracuse was received by the office. A female contacted the Sheriff’s Office in reference to a domestic complaint with Michael Hammond. Middleport Police and Pomeroy Police responded to the scene for assistance as deputies were still investigating the first domestic complaint. Upon arrival, Middleport officers advised that the Hammond residence was on fire. Deputies arrived at 10:57 p.m. and took statements from the female where she advised that Michael Hammond had allegedly come to the residence and climbed through a window to gain access to the residence. At that time, she left the residence and went to her parents’ house next door, where she advised Hammond came over and allegedly made threats toward her. He then went back to the residence where he allegedly started a fire in the house. Syracuse and Racine Fire Departments were on the scene as well as a Medic truck from EMS. Michael Hammond, age 35, was arrested for domestic violence and aggravated arson, as well as aggravated menacing for allegedly threatening Deputies King and Fennell. Hammond was incarcerated at Middleport Jail pending a court appearance. The third domestic complaint call was received at 11:34 p.m. from a residence on Tackerville Road. A female contacted the sheriff’s office to report that Justin Bocook, age 33, came home and allegedly started an argument with her after waking her up. She advised that he had allegedly obtained a firearm, waving it around and had held her down and bit her. According to the report, he also had threatened to burn the house down. Deputies arrived at the residence at 11:41 p.m. to investigate with the assistance from Middleport Police. Justin Bocook was located at intersection of Bashan and Tornado Roads, where he was taken into custody. Charges of domestic violence and disrupting public services have been filed against Justin Bocook. Bocook was incarcerated at the Middleport Jail pending a court appearance.